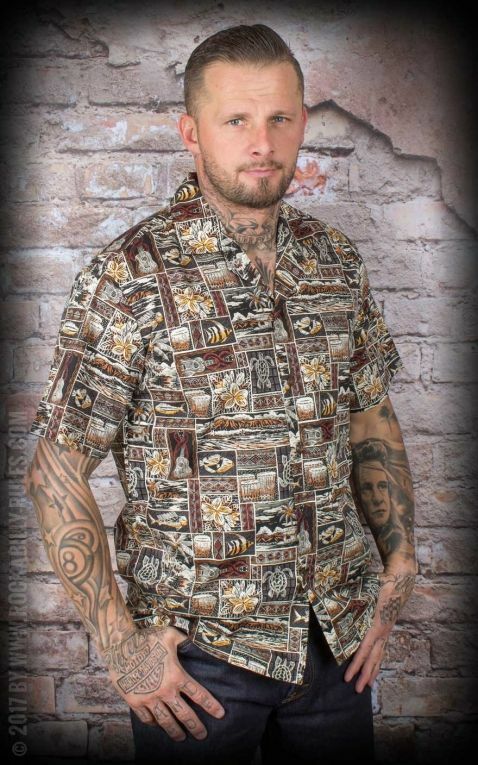 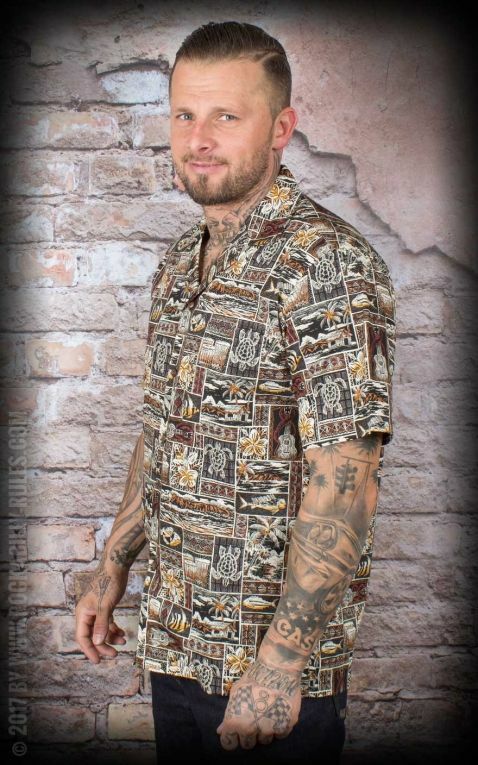 Whether tiki party, holidays or just a relaxed day in the sun, this Hawaiian shirt puts everybody in a good mood. Decorated with a beautiful allover print, with coconut shell buttons and made in Hawaii. A real beauty for summertime. 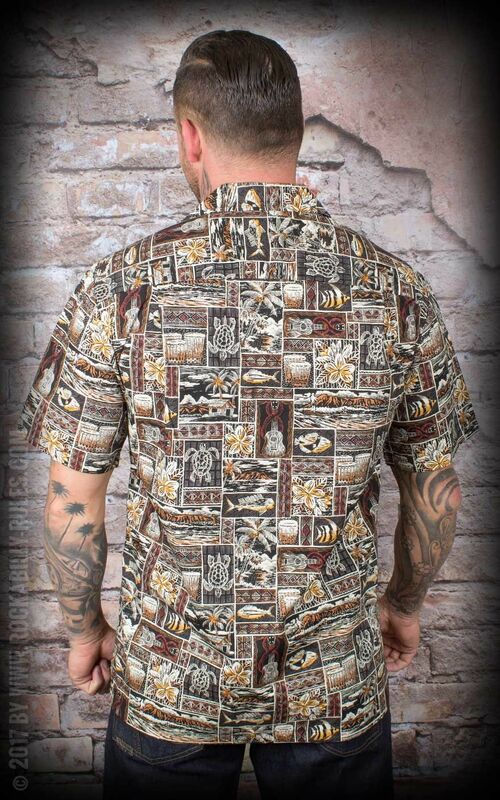 Get the Hawaiian shirt 'Greetings from Hawaii' in brown for a beautiful summer outfit!